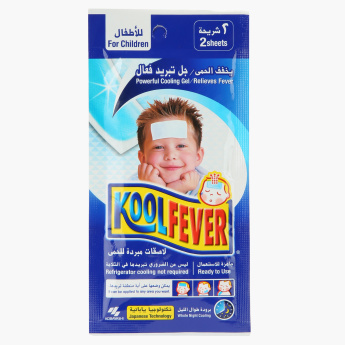 Kool Fever Cooling Gel Sheet - Set of 2 | White | These sheets absorbs and disperses heat effectively to lower your child's temperature. A fuss-free buy to use when your kid is unwell, this set of two sheets is a handy essential. 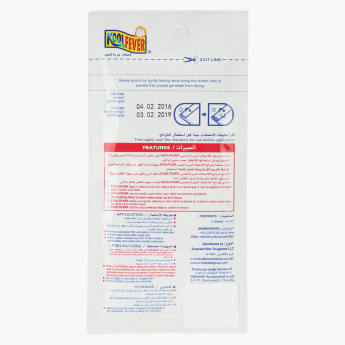 The easy-to-use sheets absorb and disperse the heat effectively and lower your child's temperature. Feature 1 : These sheets absorbs and disperses heat effectively to lower your child's temperature. Feature 3 : Last about 8 hours.